Obituary for Gordon Hume | G.F. Oliver Funeral Chapel, Ltd.
Gordon was born on December 3rd, 1933 to Robert and Thelma Hume in Revelstoke, B.C., the youngest of four children. 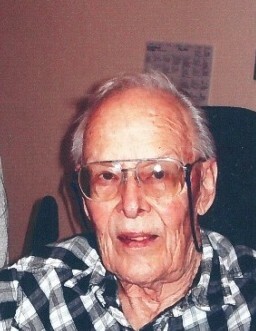 His childhood was spent outdoors enjoying camping, fishing, hunting, skiing, and curling. He was educated in Revelstoke and at UBC in Vancouver. Gordon married Jean Yallop of Kamloops, B.C. in December 1957. He worked in the lower mainland for the Dep’t of Highways and Super Valu and transferred with Super Valu to Salmon Arm and Merritt. Gordon and Jean went into business on their own in Aldergrove, Sardis, and Creston. Gordon was very active in the B.C. Snowmobile Federation, including as president when B.C. hosted the International Snowmobile Congress for the first time. He was an honorary lifetime member of the B.C.S.F. He also became an active quad rider after moving to Creston. Gordon enjoyed travel and had visited all ten Provinces and two of the Territories of Canada, as well as the Arctic and Antarctic Oceans. Gordon passed away March 14th, 2019 at Swan Valley Lodge after 17 months of compassionate care by their dedicated personnel. He was predeceased by his Parents and Brother, and is survived by 2 sisters, his wife of 61 years, 2 sons Harold of Prince George, and Robert and wife Lisa of Sardis, and several nieces and nephews. His ashes will be scattered in his beloved mountains at a later date.